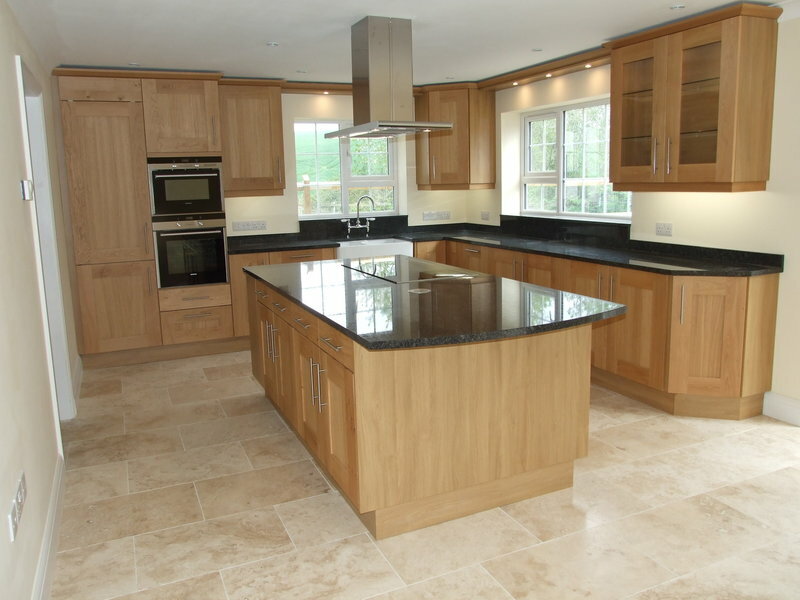 is a Watford based interior and exterior home/office property renovation company. 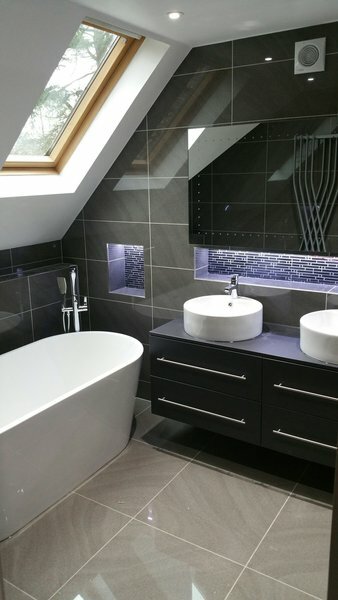 We provide clients with the highest possible level of building services anywhere in the Watford and surrounding areas. We treat your home as if it was ours. 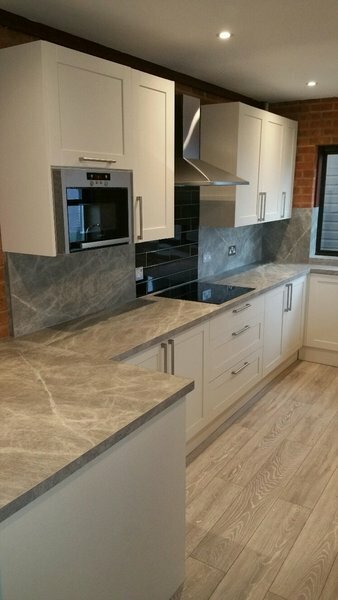 Our team have worked in Germany, Austria and Poland to the very highest of standards hence you can rest assured that you will receive a top quality finish from us. 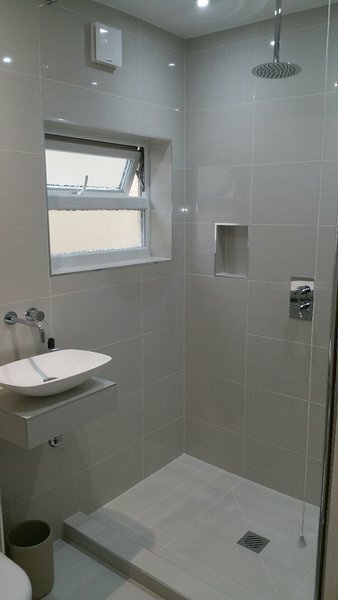 We had a complete new bathroom installed. The company were very reliable are were totally professional. 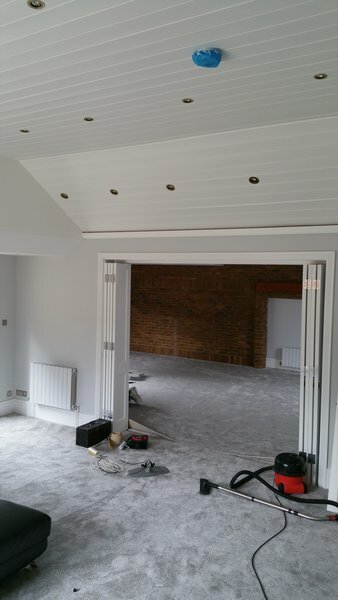 The work was carried out to a very high standard. We had our kitchen re-tiled. Excellent communication, time keeping and extremely hardworking. Would definitely recommend. 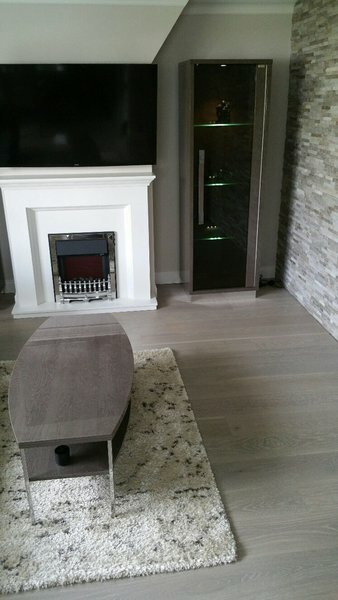 Wolf & Brown did a refurb of all my rooms ceilings & walls re- plastering and preparation some woodwork included. Nothing was too much to ask for. Considerate as we are elderly and living here at the same time. Prompt, got on with the jobs, helped move some furniture. Problems resolved immediately. 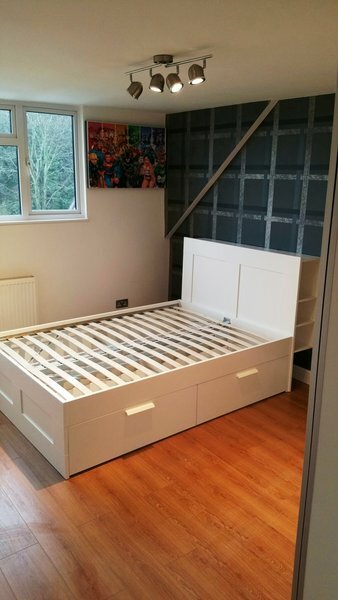 I contacted Charles in an emergency, my other builder had cancelled the job at the last minute. Charles and his team came to the rescue! 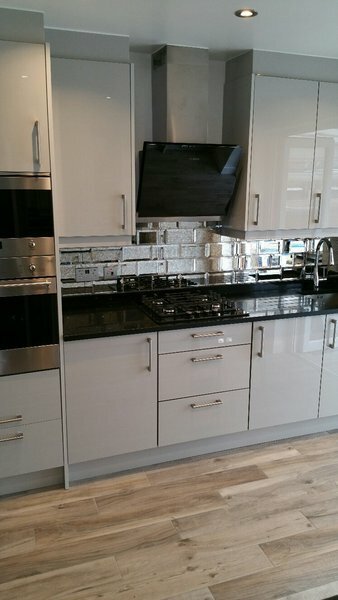 In 3.5 weeks they fully renovated my large kitchen & 2 bathrooms and did decoration works in the whole of my home. 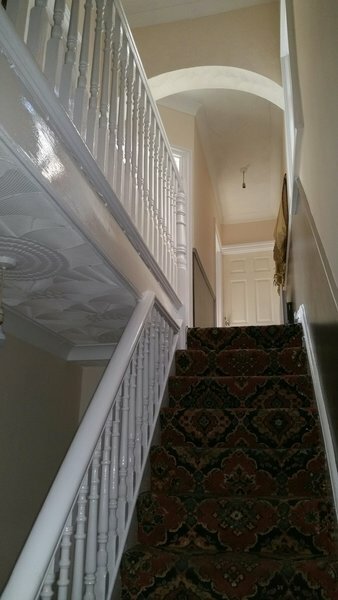 Additionally, they completed all my electrical and plumbing work, painted all the rooms (including ceilings at 13ft height), changed locks and light fittings. They installed all my white goods. No job was too big or small for them. I am very impressed that every evening they left the apartment immaculately clean! Charles is transparent about pricing & schedule. I got receipts for any additional parts/fixtures. Excellent communication throughout. The cost of the whole job was very good value for money. The whole team are very polite. They are organised and work to a schedule and complete the job on time or a couple of days early! Charles is practical, yet flexible. I decided to change some bathroom tiles at 9pm on Friday evening. The whole bathroom had just been done. By the next day 9:30am, the original tiles had been removed and the new tiles had been laid. Incredibly fast work, excellent attention to detail. Charles has great design ideas too - he suggested a beautiful recessed shelf in my bathroom. It's functional and makes the bathroom look very modern. Almost 12 months since the works were completed, I haven't had a single issue. I required about 10m of fence between three concrete posts to be replaced. Contacted Charles who arrived exactly on time. 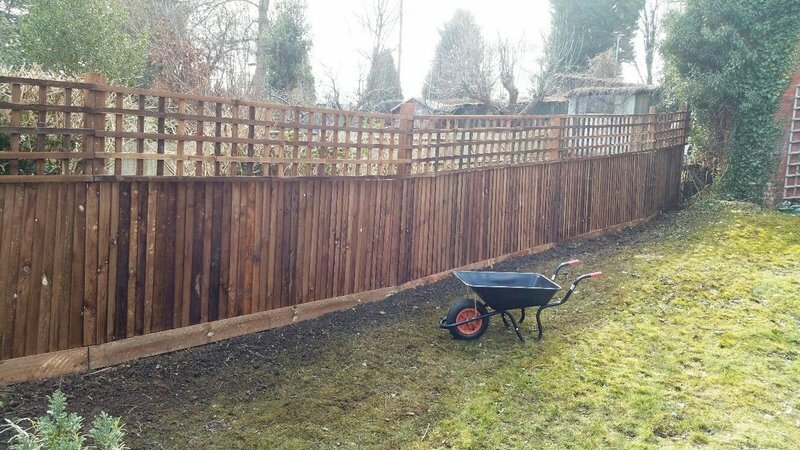 He listened carefully to the requirements which included using 20 boards from a previous job. Quotation followed within a couple od days which turned out to be about 70% of the price of the only other quote. Job scheduled for about two weeks time and took place as agreed. Two workmen turned up early with Charles and stated by removing the old rotten fence. Job completed by mid afternoon to a high standard, and all rubbish remove and the work site swept. Charles arrived later to inspect the excellent job done. Would recommend. 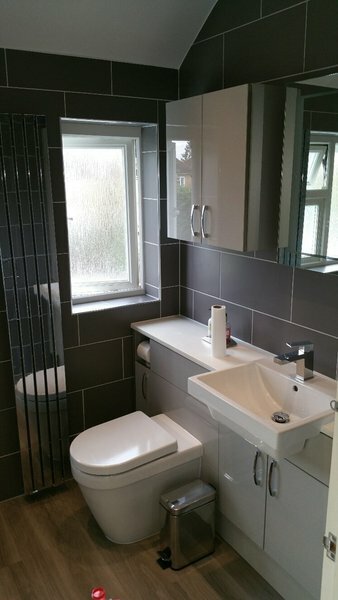 Complete new bathroom (wet room) installed with dual shower, double sink and sliding (pocket) door plus new vertical wall radiator installed in kitchen. Wolf & Brown team did an outstanding job and we are very pleased with the results. I had my bathroom completely ripped out and redone to modernize it. It's made such a difference and I'm so happy that we chose Wolf & Brown to do the job. They were competitvely priced and are a very trusted company. Charles was always contactable, even out of hours, and I would certainly recommend his business to other people. 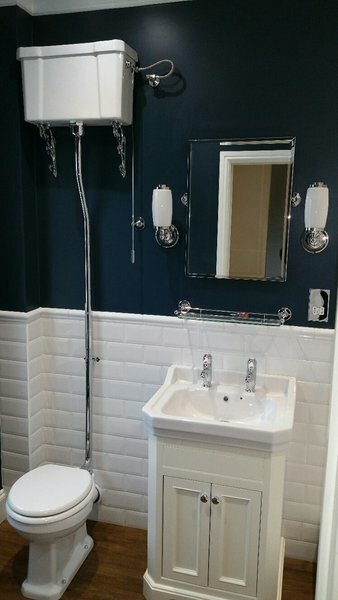 Charles and his team completed a full refurbishment of several rooms in the house, a new walk in wardrobe area, and a new bathroom. 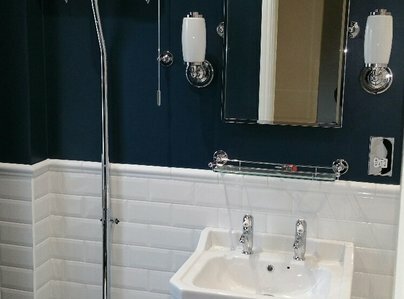 The bathroom was very large, and was a lot of work, and at all times Charles and his team worked tirelessly to complete the project, with the utmost attention to detail. Their work is absolutely outstanding. More than anything is their attitude and communications at all times. They are all friendly, polite, and work in a clean and tidy manner. They understood how important it was for me to get a perfect finish, and they made sure that this happened without me having to ask them. His team are multi-talented and a pleasure to work with. I cannot recommend Charles and his company highly enough.